When I drive I always end up a little fascinated by round brake lights that are arranged in a radiant pattern. They speak to me, their layout intrigues me and I always think, I should make a quilt like that. So that's what all this wedge action is about. When I stare at the one above it makes me think of Hal in 2001: A Space Odyssey. I can hear his voice in my head: I'm sorry, Dave. I'm afraid I can't do that. And when I look at all of them together I think of the Hypno-toad on Futurama. The hypno-toad is the soundtrack for this quilt for sure. That's all of them stuck on my too-small design wall. I was planning to spread them out a bit more in the final quilt but I do like them squished together like this. Decision time. In other news, thanks to nudging from some blog readers turned pattern testers I have put up for sale my first ever pattern. It is for a set of nesting buckets, which is a quilting class I teach locally. I put it up on Craftsy and I'm interested to see what selling patterns through their site is like. Congratulations on your pattern! Those are some cute fabric buckets! Actually, I love those blocks kind of encroaching on each other - I would make the two partial ones with a few more wedges so they look like they're going off the edge of the quilt and call it quits! Very cool!! And congrats on the pattern - cute baskets!! They'd make a great baby shower gift! Cool wedge design. I like them overlapping. Oh this is very cool and I love the layout you have now! Now there, you've proven that quilting designs are everywhere we look - your comparisons were too funny Christina! That is going to be great quilt! Congrats on your Craftsy pattern too. Love this quilt layout ~ it's really amazing. I thought of tail lights before I read what you'd wrote about them! Can't wait to see what you do with this one! i love your work and your blog. this quilt is going to be amazing! love, love, love the wedge action with the solids and various sizes. very inspiring! 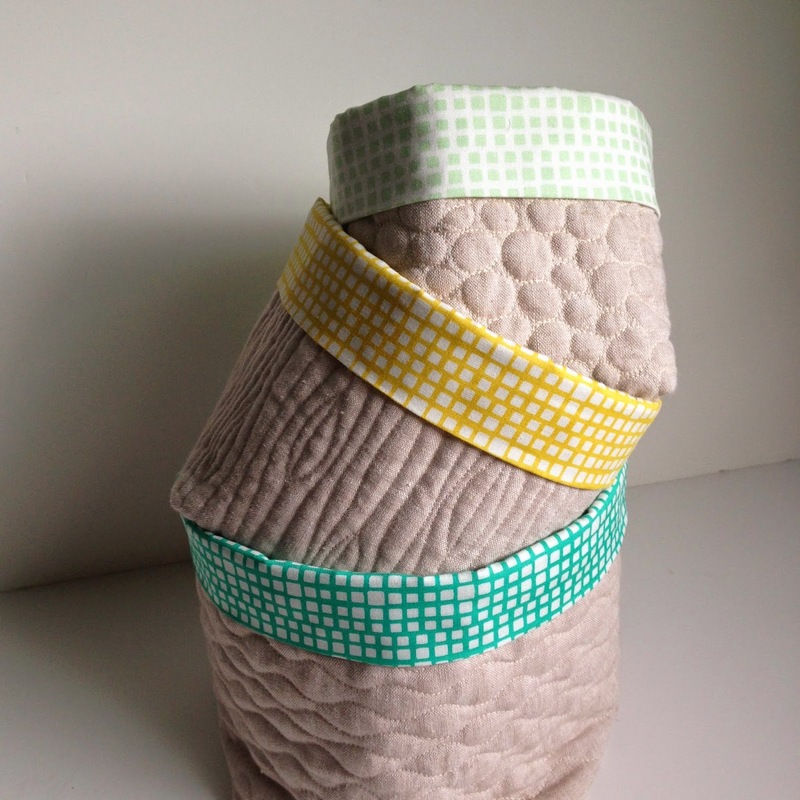 very cool quilt, and very cute baskets! Great quilt...I also have a thing for those tail lights! Fun baskets. I love, love, love those nesting buckets.